The last few days I have been busy working on a little secret project. I know, another one, sorry. This one came about sort of last minute so it was one of those peddle to the metal, get it done rather snappy type of projects :) So Saturday was cutting. 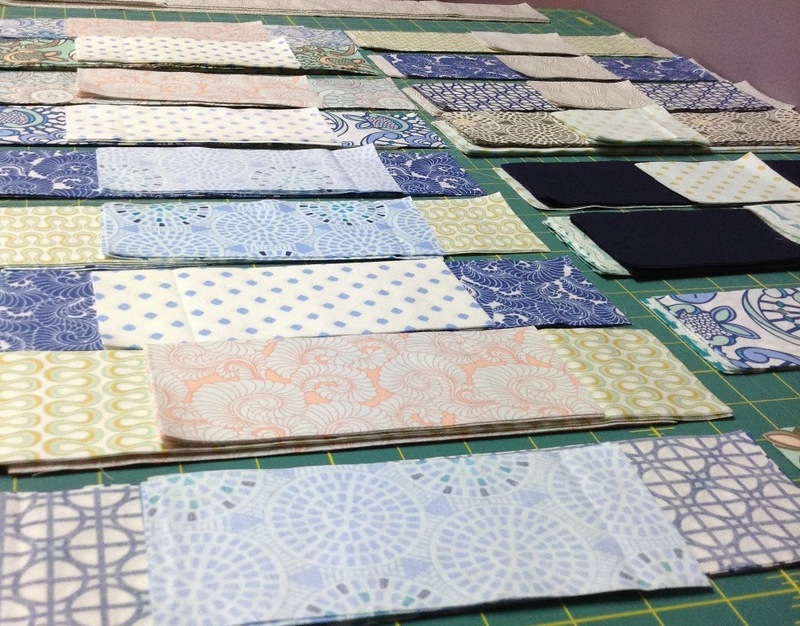 I love the beautiful tones of Angela Walter's newest line Drift. They are so soothing to work with! Monday and Tuesday was piecing. The top came together quick and it was a lot of fun to piece. 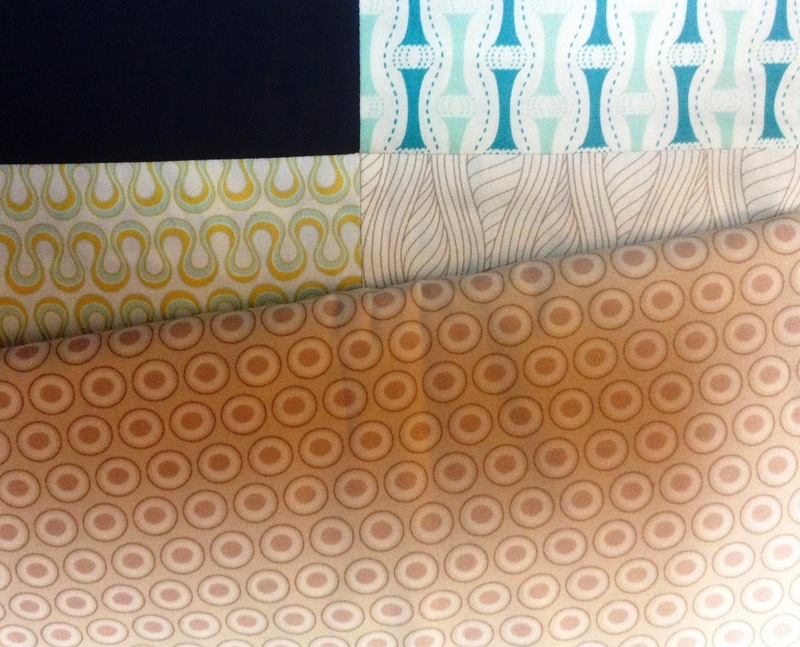 Then it was time to make a quilt back from this awesome oval element cappuccino print. I love me a good polka-dot!! Getting this project in the mail yesterday was so very important because today starts Girls Weekend Out!!! I get to spend the entire weekend relaxing with Barbara and my Sister-In-Laws!!! We were given use of a condo in Park City so it's no kids and just us girls having a great time for 3 1/2 whole days!!! Ya, I am totally excited!!! (can you tell by all the exclamation points :) Nothing but Rest and Relaxation, bring it on!!! Have a Happy Quilting (or relaxing) Day!! I love the look of the quilting. Can't wait to see the finished project! Enjoy the girls weekend! I love my girls only getaways. Your quilting is looking great! It is tough to get nice curves on the long arm. You did great! Love the quilting, enjoy your time away! 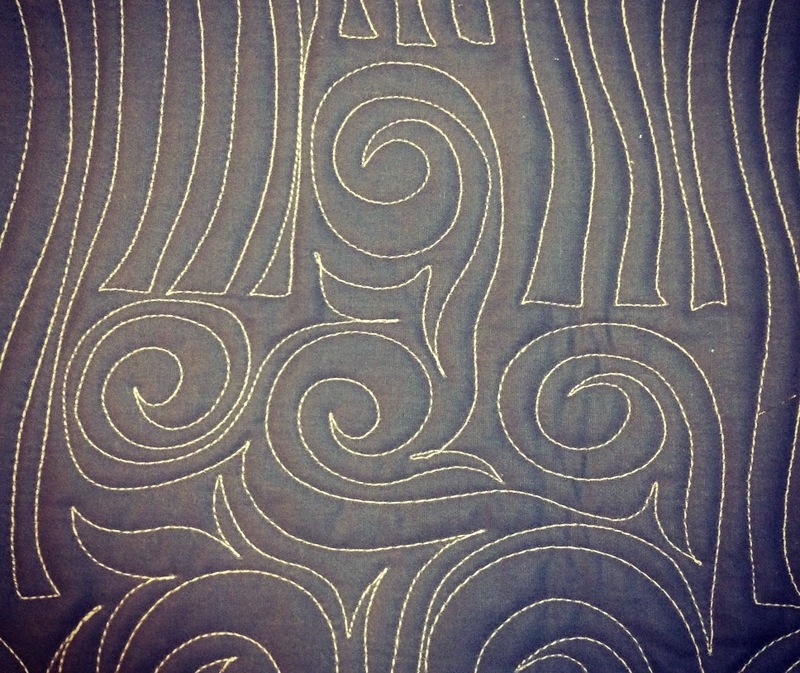 Your quilting is great, swirls are a favorite of mine. I am so eager to see the front of that quilt! The back is teaser enough but with all of those images of the fabrics you used I'm even more intrigued. Have a great weekend. You deserve a lovely girly break. I look the peek and can't wait to see the whole quilt. Have a great time! Those fabrics look awesome! Can't wait to see the finished project. It looks great and I'm looking forward to seeing more of that secret project. Enjoy your weekend. I have 4+ days of me time coming up soon and I can't wait.